Where Philadelphian’s are struggling to gain access to fresh food. Food deserts are common for inner cities and Philadelphia is no stranger to them. There are 307,000 Philadelphians living in neighborhoods with high poverty and low-to-no walkable access to healthy food realtors (roughly 16 neighborhood areas) that are considered a food desert. Some of these food desert locations are a few neighborhoods long. One of the food desert areas goes from Hunting Park to Germantown. As of 2011, there are only 137 full service supermarkets in Philadelphia and 51 farmers markets. While there are some farmers markets, many are only open a few days a week, limiting fresh food access to those who live around the markets. The number of corner stores in Philadelphia has reached 1,710. Out of the 1,710 corner stores only 618 are considered a healthy corner store. The Healthy Corner Store Initiative seeks to have the corner stores provide healthy items and even hosting in-store community nutrition education classes. “I think that educating the community on healthy food could help because then communities will know how to spend their money in a way that feeds their families while still being able to be healthy,” explains Remos. There are some organizations that are trying to help give Philadelphian’s access to fresh and healthy food. One of these Philadelphia-based organizations is called the Philadelphia Urban Creators. Organizations like these not only give healthy food at a ready and cheaper price, it also involves the community in growing their own food to become sustainable. This grassroots organization originally started at Temple University in hopes to learn about the local community. “I have seen new grocery stores in some of the neighborhoods that are poor. I have seen the community benefit from these stores opening. 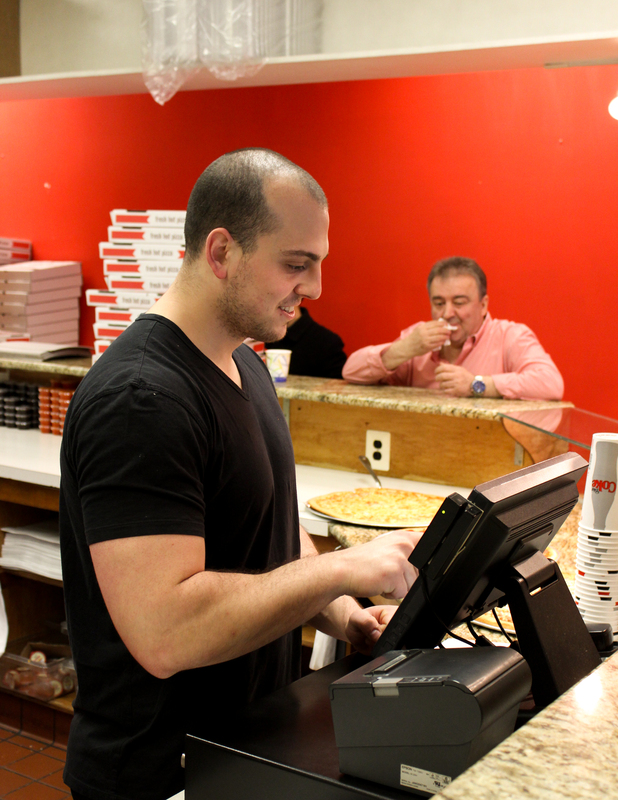 It’s a nice change from fast-food restaurants,” says Remos. Shown on this map, center city and its surrounding neighborhoods have the highest amount of fast-food restaurants in Philadelphia. With the rising number of super markets and farmers markets there is still a large population of Philadelphia that is in a low-access area for healthy food. Initiatives have helped decrease the numbers but Philadelphia is still home to many food deserts. For more information please contact Maryrose Kelkis at rosekelkis@yahoo.com. The more we eat, the more we throw away, the bigger the problem. With the holidays right around the corner, and our stomachs rumbling for the endless servings of mashed potatoes we know are coming, it is necessary to step back and realize that our consumption and our waste -as minuscule as they might seem- have a direct impact on the world around us. Who Takes The Cake In The Tri-State? The economies of New York, Pennsylvania, and New Jersey each benefit greatly from the restaurant business, but who is truly top dog in the tri-state area when it comes to lucrative eats? Food deserts are found across the country but are typically seen in cities. Philadelphia is home to many food deserts. This info graphic shows a little information about food deserts and where they are in Philadelphia. If you haven’t noticed lately, burritos are taking over the world (or so it seems). On Temple University’s Main Campus, there are three major Mexican food restaurants: Chipotle, Qdoba, and Mexican Post Express. Although Mexican Post may be the least well known of the three among Temple students, the franchise has quite a rich history in the City of Brotherly Love. For the past 25 years, Mexican Post has been providing high quality authentic Mexican food to customers at very reasonable prices. On Monday, October 13, 2014, I sat down with owners Nilesh and Mita Desai to talk about what makes Mexican Post Express the best Mexican restaurant at Temple University. If you don’t know that one of the things Philadelphia is most known for is the cheesesteak, then you probably have been living in a cave. Philadelphians take cheesesteaks very seriously, and can name you their favorite place to go to faster than they can name their favorite color. 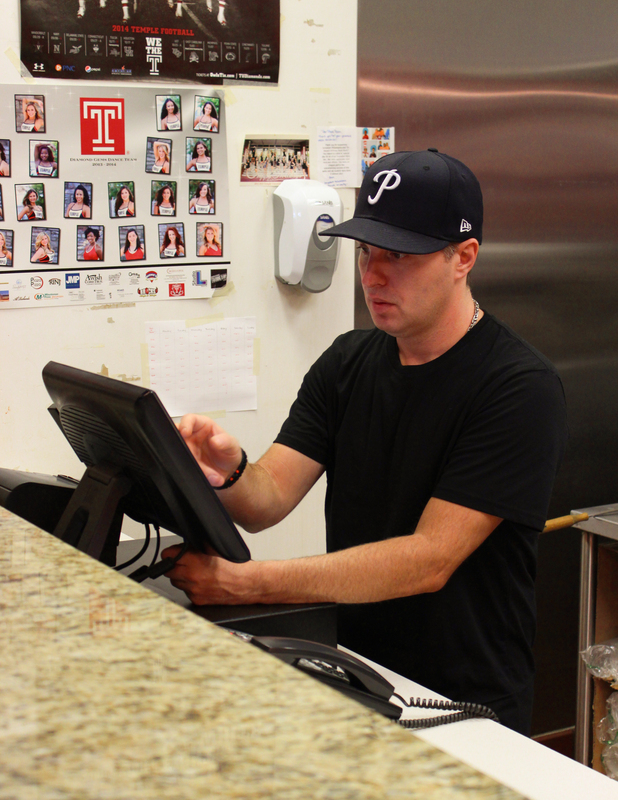 Choosing between Pat’s or Geno’s -the so-called pioneers of the cheesesteak- is like choosing between cats or dogs, and the answer is usually not taken lightly. Usually people head down to South Philly to eat from either one of the places, however, I accompanied Deshawn Harper to have a taste of each steak back-to-back in order to better compare the two. This week is “Inside the Restaurant” and we are doing a story about Andrew Cooney, 22 of Philadelphia, PA. He is the Sous Chef at Brittingham’s Restaurant on Germantown Pk. Wisam Elachkar, a server at El Vez restaurant in center city Philadelphia, knows first-hand that there’s more to going out to eat than just sitting down and paying the bill. He works behind the scenes, and has a lot to say about what it’s like from his perspective.